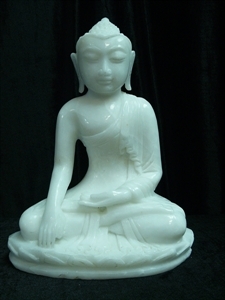 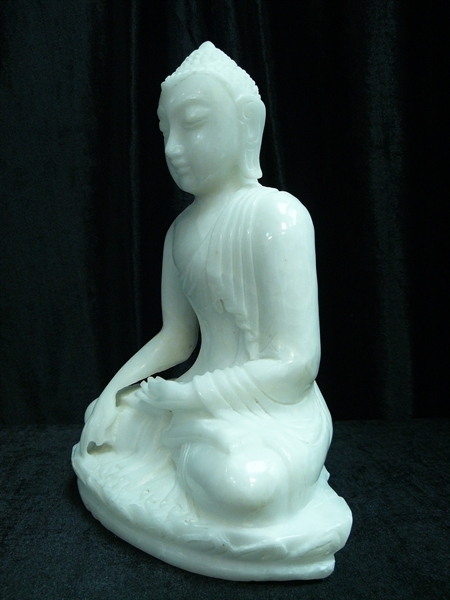 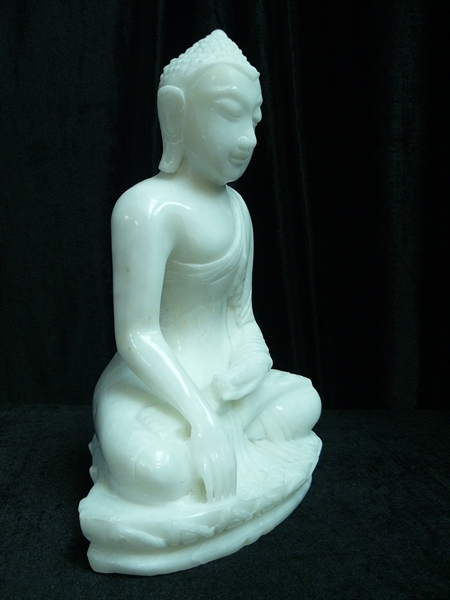 This is a Tibet Buddha from the Tibetan Buddhist tradition, all hand carved from one solid piece of White Jade. Very detailed carving. 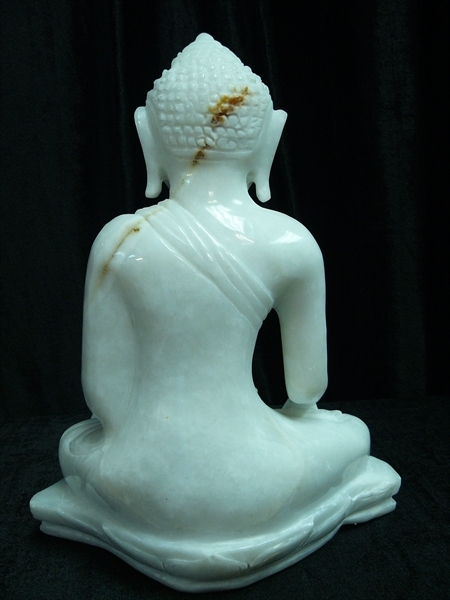 Imperfection found on the back of this Buddha as seen on photo, dark marks on the back.